we are excited to see many of you at the ACI Fall Convention, being held on October 15 - 19th 2017 in Anaheim, USA. We consider it a great honor to join the US community of engineers, taking it as a unique opportunity to speak to our customers and engineers in the United States. You are cordialy invited to our company stand no. 48 in the exhibition hall! You can also meet Jan Cervenka during his ATENA presentation titled: Advanced FE modeling with ATENA in reinforced concrete design, Monday, October 16th, 3:30-4:00 pm in the exhibition area. 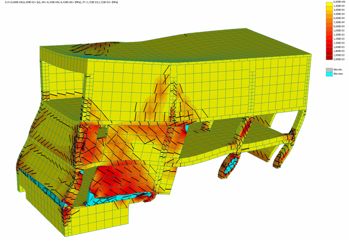 During this presentation you will learn, how ATENA software can support engineers during the design of concrete structures, and improve your understanding of the structural behaviour and increase the safety and reliability of your design. New models for durability and reinforcement corrosion modeling will be discussed. 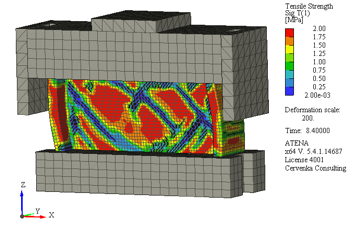 Jan will also speak during the special session on "Finite Element Modeling of Concrete Walls Subjected to Extreme Loads, Part 2 of 3" on Wednesday, 12:36 (D-Disneyland North A). 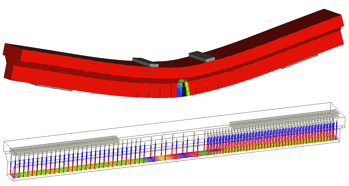 Engineers working with FE analysis and modeling are welcome to discuss our concept for treating uncertainties in nonlinear modeling of reinforced concrete structures which is the topic of his presentatin titled: Uncertainty in Prediction of Shear Wall Strength by Finite Element Analysis. If you are interested in making an appointment with us, please send an e-mail to cervenka@cervenka.cz. We look forward to seeing you in Anaheim next week and present you the latest development in our ATENA software. If you are not able to visit our stand during the convention, you can find more information about ATENA on our website or contact us ditectly. The latest version of ATENA software you can find on our website. And enjoy selected ATENA nonlinear analysis videos on our YouTube Channel.